In Lee County, rainfall peaked at 4.95 inches (126 mm) in Cape Coral. 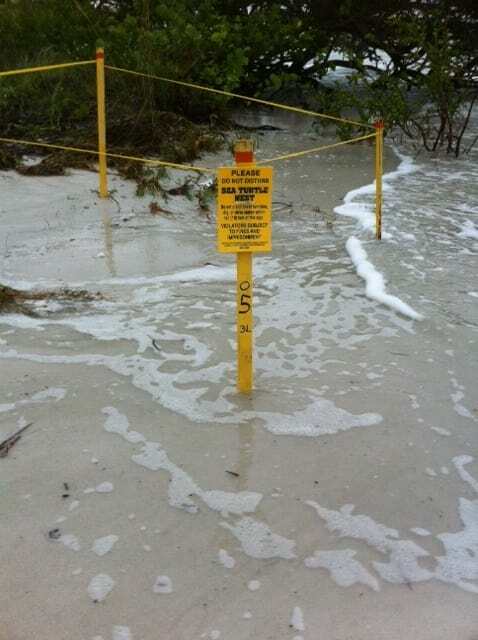 Rough tides and storm surge caused beach erosion and coastal flooding, especially on Sanibel and Captiva Islands. The county suffered approximately $2.3 million in losses. 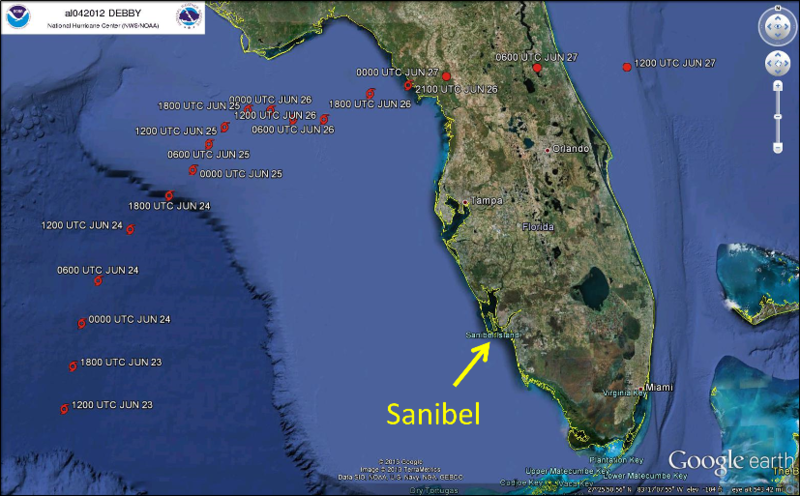 The beaches of Sanibel and Captiva are used by several species of sea turtle for nesting. The beaches are monitored for nesting as part of SCCF's Sea Turtle Program. 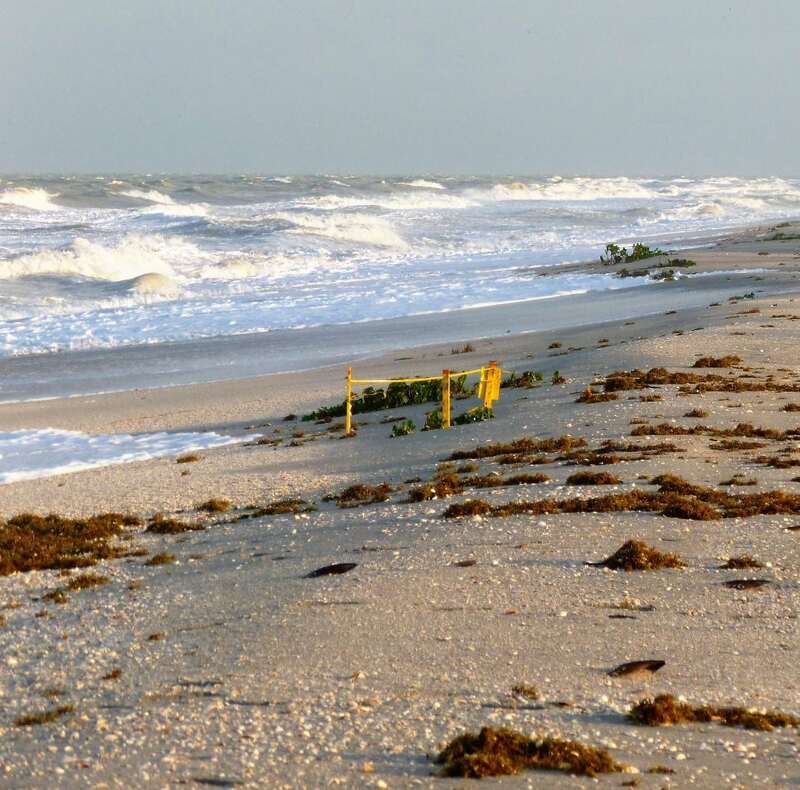 During Debbie, 69 nests on Sanibel and 61 nests on Captiva were lost to the storm, totaling a 29% loss of the total nests laid during 2012 nesting season. Wind presented ouf on the South and shifted to out of the Southwest and the storm progressed. The tidal salinity signal was dampened at Shell Point and held at near gulf strengths for several days. As the rainfall entered the basin and the wind subsided the salinity dropped rapidly to levels lower than pre-storm. Following the storm the tidal salinity range increased as the overall river salinity had been lowered.